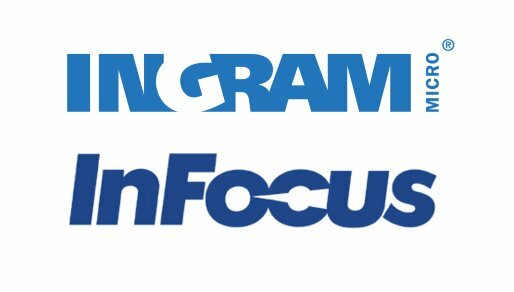 February 2018 – Ingram Micro U.K. & Ireland are delighted to announce the partnership with Infocus, who provide end-to-end display videoconferencing solutions from video phones to projectors, and JTouch interactive touchscreens, the Monopad all-in-one touch and videoconferencing solutions and ConX Cloud videoconferencing services. The partnership enables Ingram Micro UK to enhance their AV portfolio and offer channel partners a strong choice of technologies. Ingram Micro will be able to support customers to be able to provide a full suite of presentation and collaboration technologies that will enable end customers to teach, train and visualize their work environment. Infocus also offer videoconferencing software and cloud services, a full array of accessories, tablets, kangaroo pocket PC’s, display wall processors and visualization and collaboration products that enable anyone to see and connect anywhere at any time, even using personal and mobile devices. “InFocus prides itself on selecting the top partners around the world to enable its collaboration products to help people connect across the conference room and across the globe,” commented Mark Harris, Vice President Sales EMEA at InFocus. “Ingram Micro’s network and commitment to the PRO AV, education, office and collaboration space supports our overall growth strategy and is a natural alignment for a partnership. We are sure to increase with Ingram the brand recognition and the market share of InFocus”. For pricing, availability and more information please contact please contact Lee Bolger on 01908 807594 or email Lee.Bolger@ingrammicro.com. This entry was posted in InFocus Academy and tagged InFocus, ingram, ingram micro on 12. February 2018 by Nicola.